Born in Dijon to a poor family, Legros moved to Paris in 1851 to further his artistic studies. His early apprenticeships with a house- and sign-painter and a theater decorator may have contributed to the bold, graphic quality of his work and his decision, in 1855, to pursue a second career as an etcher. In 1861, Legros produced Esquisses à l’eau-forte, an ambitious print portfolio dedicated to Baudelaire (1821-1867) as a show of gratitude for the critic’s laudatory review of L’angelus at the Paris Salon of 1859. This painting, Legros’s first major religious work and widely acknowledged as a masterpiece of French Realism, was recently sold by Gallery 19c. Legros’s formal training under Horace Lecoq de Boisbaudran (1802-1897) and later, in 1855, through night classes at the École des Beaux-Arts, resulted in his first successful Salon submission in 1857 – a Holbein-esque portrait of his father (Tours, Musée des Beaux-Arts). This picture drew praise from the novelist and art critic Champfleury (1820-1889), who sought out Legros for inclusion in a group of artists known as the "Realists." Legros’s best-known painting from this period, L’Ex-Voto (1860, Dijon, Musée Des Beaux-Arts), while characteristically archaic in its treatment of figure and space, revealed a new indebtedness to the "concrete realism" of Gustave Courbet (1819-1877), and to the everyday life of the French laborer. It was this combination of the past and the present, the naïve and the modern, that marked Legros’s work as among the most distinctive and inventive of the mid-nineteenth century. 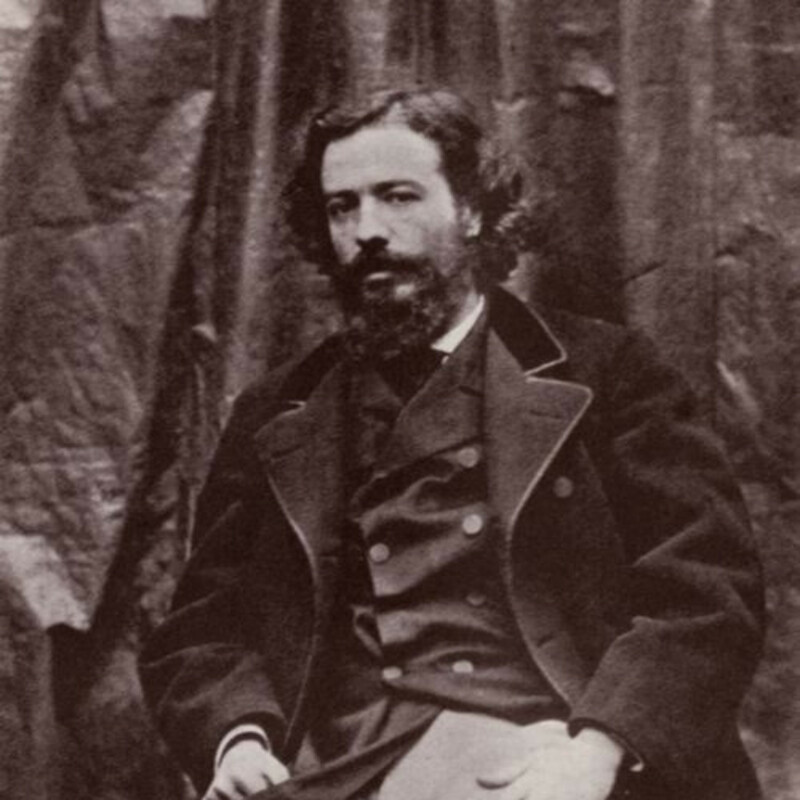 In 1861, Legros, along with James Abbot McNeill Whistler (1834-1903) and Henri Fantin-Latour (1836-1904), formed the Société des Trois in order to confirm their friendship and mutual support. Two years later, it would be Whistler who would encourage a struggling Legros to seek his fortune in England, a decision that changed the trajectory of the artist’s career. Despite winning medals at the Salons of 1867 and 1868, Legros remained in London, earning a Slade Professorship at University College in 1876 and becoming naturalized in 1880/1. (In a curious act of solidarity with his native country, however, Legros refused to speak English during the course of his tenure; he retained his Professorship until 1893.) In 1881, Legros became a founder-member of the Society of Painter-Etchers and, in 1885, the Society of Medallists. These prestigious titles and affiliations did little to resolve Legros’s ongoing struggles with the Royal Academy and other conservative exhibition venues, however: due to British audiences’ difficulty with Legros’s austere style, his increasing taste for the serious and the macabre, and his continued reliance on obscure European rather than familiar British literary and art historical sources (it was said that Legros “was, mainly, a student of the dead”),[i] his pictures were habitually "skied" (hung very high) or "floored" (hung awkwardly low). Legros’s frustration with this practice led him to seek out other avenues for the display of his paintings, including the progressive Grosvenor Gallery. Sir Coutts Lindsay (1824-1913), Director of the Gallery, had a particular taste for rural subjects and scenes of peasant life – a proclivity that suited Legros well as he increasingly focused on this theme. Today, Legros’s paintings and etchings can be found in major museums throughout Europe, Britain, and America, and his contributions to the mid-nineteenth-century art world are, in the spirit of Champfleury and Baudelaire, again being recognized. [i] Cosmo Monkhouse, “Professor Legros,” The Magazine of Art, January 1882, p. 329.